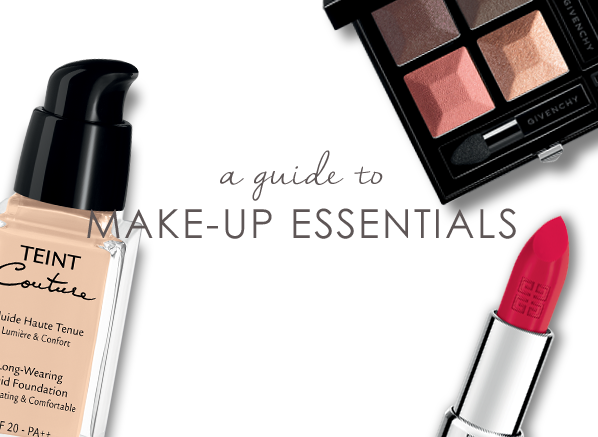 Beyond all of the talk of trends and the new innovations available in the world of cosmetics, there are some essential beauty basics that will always set you in good stead. Sort yourself out with a collection of failsafe and dependable products first, and then let yourself loose with an abundance of colour to build yourself an enviable collection. Foundation is – quite literally – your base product, and is probably the trickiest one to get right. When applied all over the face, it will even out skin tone and create a receptive base for all of your other cosmetics. The best way to choose your shade is to swatch a few different colours along your jaw line; the one that suits you best should ideally be barely visible. There are foundations available in stick, mousse, liquid, compact and powder formats, although it is pretty simple to discern which one would be best for you as such formulations are normally dependant on your skin type. So if your skin is dry, creamier liquids will be right up your street, whereas for oilier skins a mattifying powder formulation might be best. Advanced formulations also have added sun protection, anti-aging capabilities and moisture regulation, so you can tailor your foundation to truly suit your needs. A thicker formulation than foundation, concealer is meant to be used sparingly and on selected areas. It remains on the surface of the skin to disguise minor blemishes and discolouration effectively, whilst liquid formulations are fabulous for concealing dark circles under the eyes. These lighter formulations are often available in a handy pen format for ease of application and to stop the product dragging across the skin which could induce premature wrinkles. Heavier formulations are normally in a stick format and are best for covering stubborn blemishes. This an indispensable product when attempting to add a healthy glow to skin, or when defining cheekbones for a sculpted look. A few sweeps of blusher across the chubbiest bits of your cheeks infuses skin with a flush of invigorating colour that makes you appear fresh and vital. Blush is another product available in a few variations – powder, stain, cream, mousse – although the choice is normally dependant on the formulation you’re using for your foundation. Mascara is a fundamental step in your cosmetics routine, and makes your eyes look wide awake, enlarged and beautiful. Whether it’s curled, defined, lengthened, volumised or simply just darkened lashes that you want, there’s an abundance of different products for you. Although the formulation is generally always a semi-solid blend of waxes and pigments, the real variation is in the different mascara applicators. Traditional ‘wands’ with plastic bristles are still the most popular choice for layering on the colour, whilst newer ‘comb’ formats add extra length and definition, and the ‘orb’ wand innovation aims to reach every single lash. Lip Colour can transform your whole look, giving you a ‘made-up’ appearance without wearing very much other make-up at all. Lip colour can come in very many different forms: a stain, a lipstick, a gloss, a tint or a balm. Whilst some are more moisturising or longer lasting than others, they are all essentially pigmented lip colours with nourishing attributes. New innovations include the addition of lip plumpers, SPF protection and anti-aging properties. Nail Varnish is fantastic for finishing off a look, and are available in a diverse range of colours and textures, whether glittery, high-shine or matte. There are a few stand-out shades every season that are an inexpensive and easy way to update an outfit, which tend to be supplementary to current clothing trends. This entry was posted on Monday, January 10th, 2011 at 2:40 pm and is filed under Essentials, Hints & Tips, Make-up, Make-Up, Shopping Guides. You can follow any responses to this entry through the RSS 2.0 feed. You can skip to the end and leave a response. Pinging is currently not allowed.